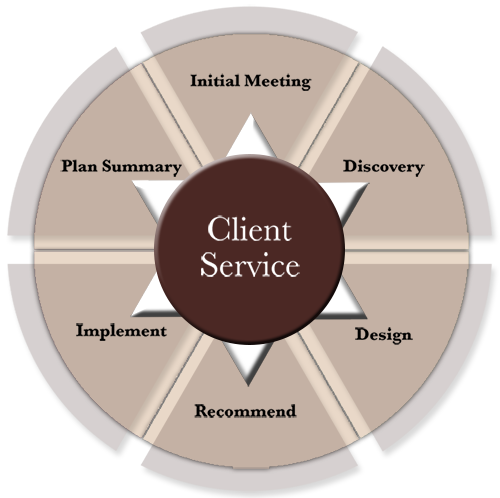 Each phase, each decision, each dream belongs to the client. We work with you and your advisors to create a strong financial foundation that allows you to satisfy your goals. No matter what the shape of your personal wishes, the process begins with data gathering and determination of your specific objectives. This meticulous fact gathering and analysis process results in customized planning solutions designed to address your individual needs.